1 edition of Santa Isabel de Aragón, Reina de Portugal, espejo de doncell... found in the catalog. Add another edition? 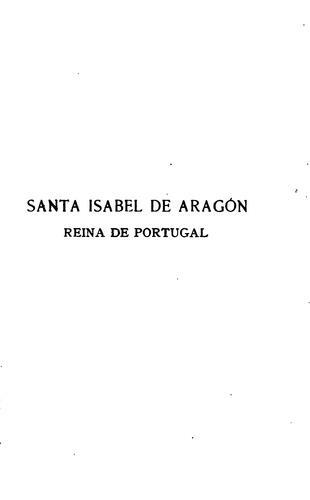 Are you sure you want to remove Santa Isabel de Aragón, Reina de Portugal, espejo de doncellas, casadas y viudas from your list? Published 1896 by Impr. de San Francisco de Sales . April 13, 2010 Edited by Open Library Bot Linked existing covers to the edition. July 17, 2009 Created by ImportBot Initial record created, from Internet Archive item record. Copy and paste this code into your Wikipedia page. Need help?